Anand Dosa in Vile Parle, opposite Mithibai college is almost always packed. Whether it’s among college crowd, ex students or any one working in the area, Anand Dosa in Vile Parle is famous and how! Watch this video from my visit to Anand Dosa. 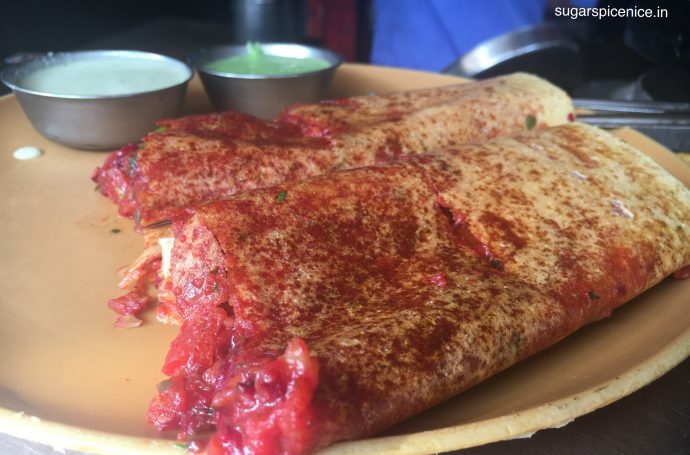 Here are a few must try items at Anand Dosa. I don’t know if it’s true, but a lot of people say that Jini dosa was first available at Anand Dosa! Also the name Jini – something one can never forget. Jini dosa is a must try item here. It’s a medley of flavors and textures – vegetables, sauces and butter. 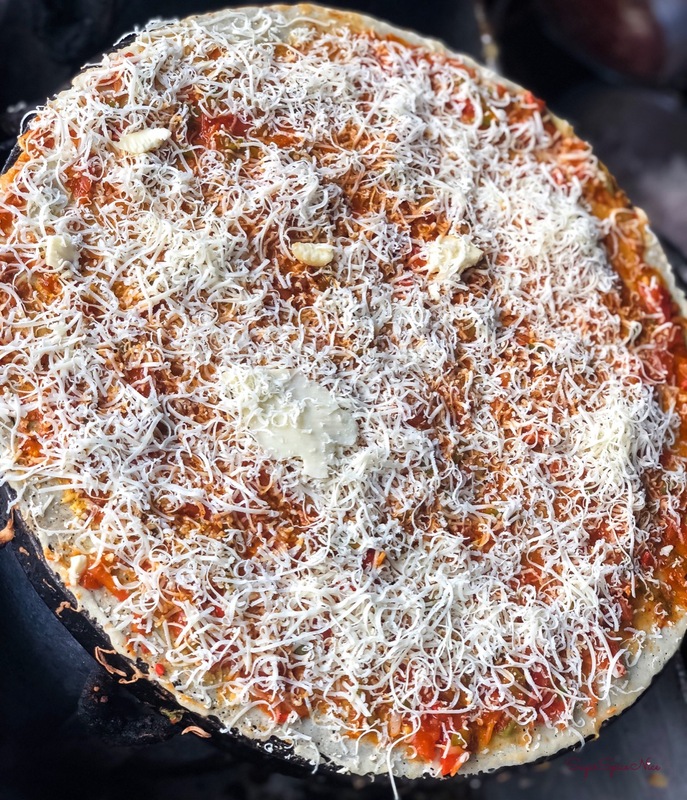 Tangy sauce, capsicum and onion, and lots of cheese – all of these in a Pizza dosa. And it is served like a pizza too! Really cute mini triangles. Definitely worth a try. 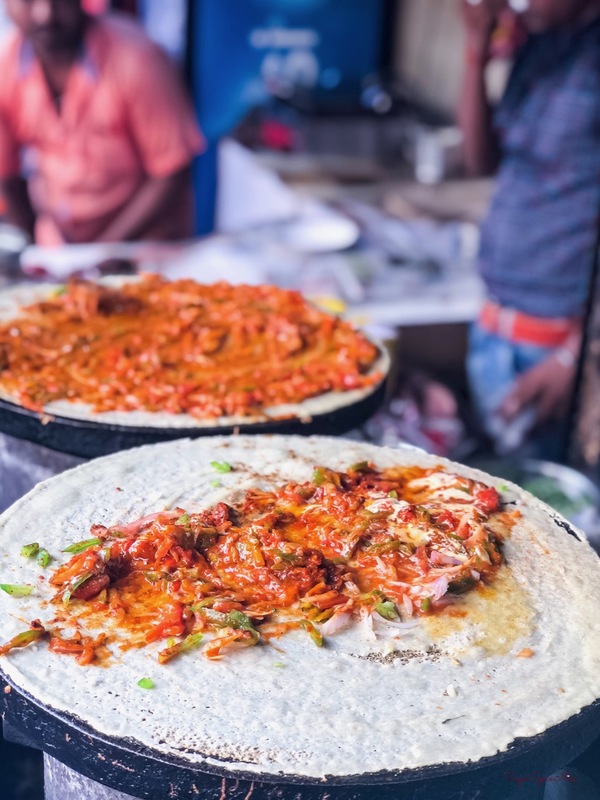 My absolute favorite – the Mysore Masala Dosa here is really yum. Onion, tomato and capsicum in a slightly spicy red chutney and some Pav Bhaji masala. Definitely try this here. Their Butter Vada Pav is really tasty. 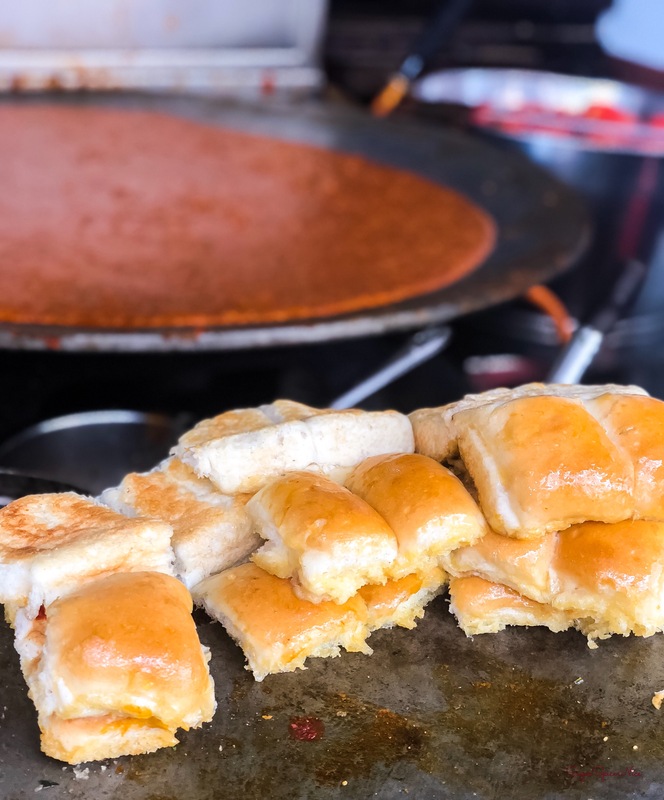 They in fact serve some interesting types of Vada Pav, including Schezwan Vada Pav. Instead of indulging in a regular cola, try their Kala Khatta soda. 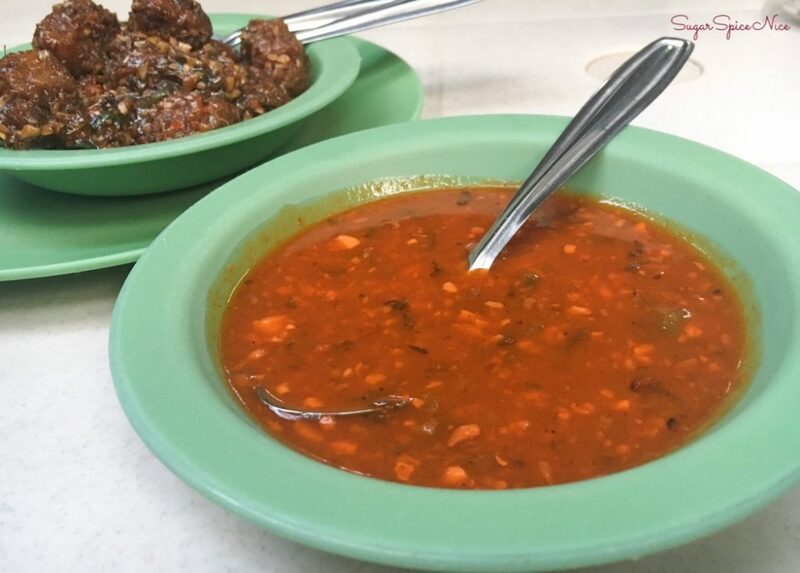 It is packed with flavor and also lots of jeera. 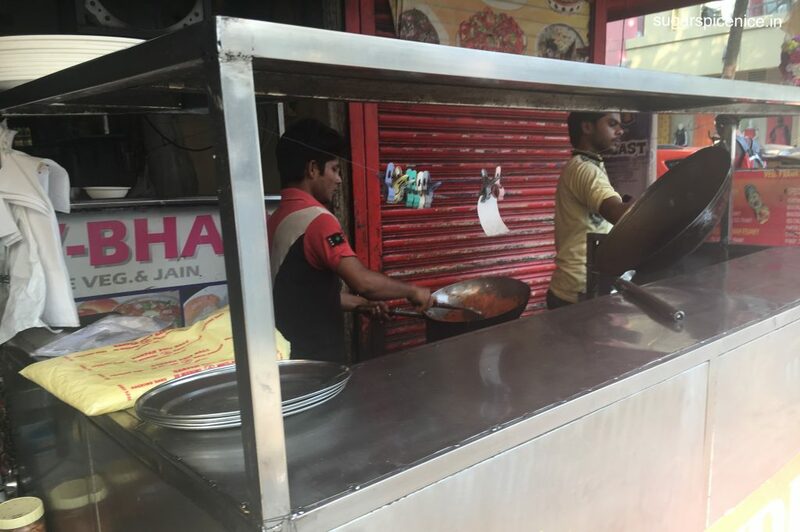 Anand dosa is almost always crowded so be prepared to wait in a queue for your order. 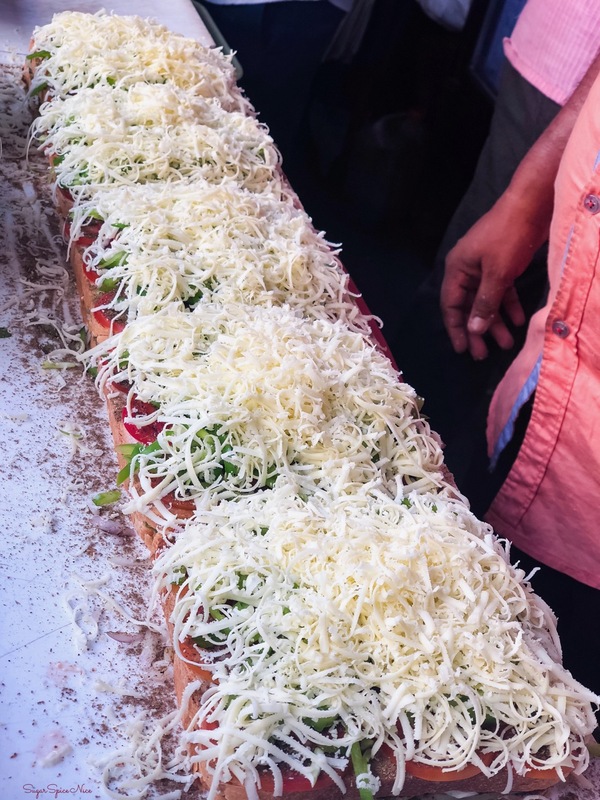 And their dosa size is pretty huge – they are good enough for sharing among two people. It’s best to go here in a group as then you can try multiple different items. 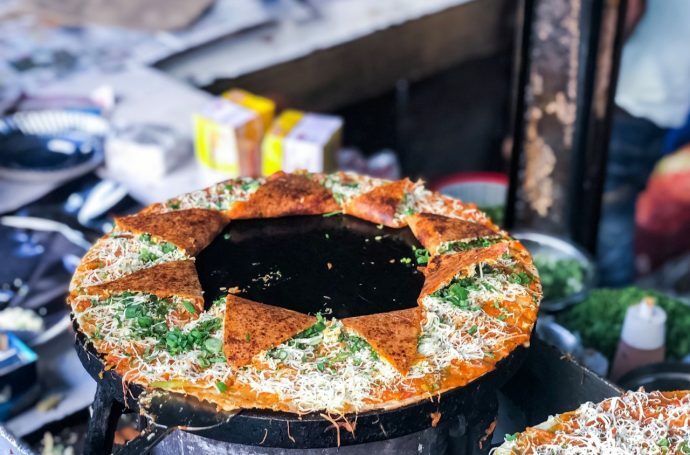 Here are some more must visit Mumbai Street Food places. 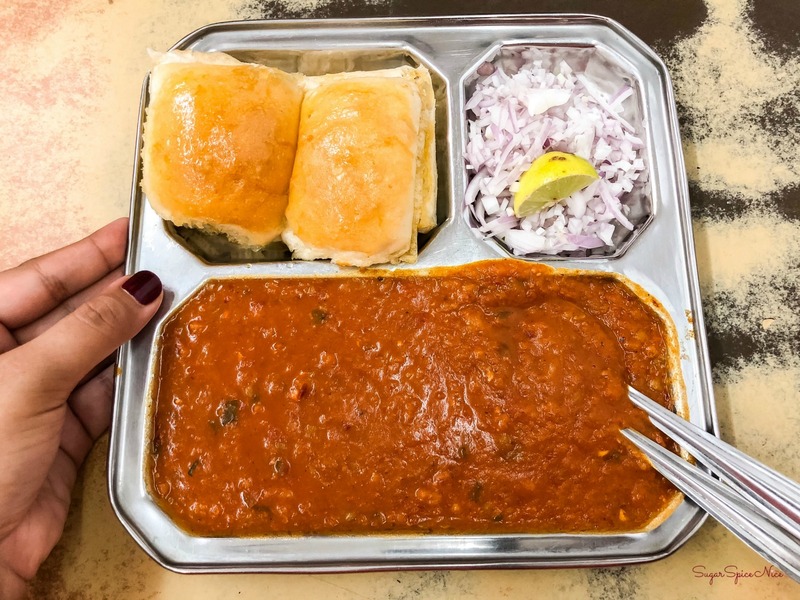 Pav Bhaji is something that’s available everywhere in Mumbai and yet there are a few places that can’t be missed. 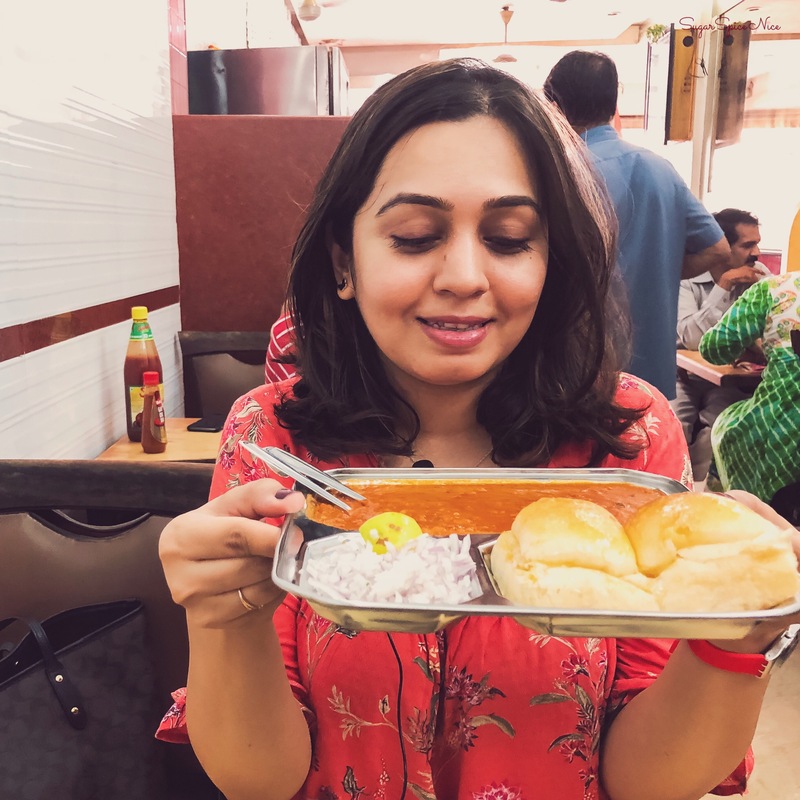 Watch this video to know my favorite Pav Bhaji spots in South Mumbai. At Chowpatty, there’s more to enjoy than just the sea. 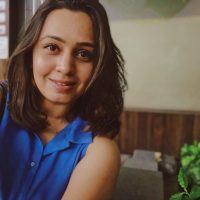 Pav Bhaji is something that you definitely need to try there. 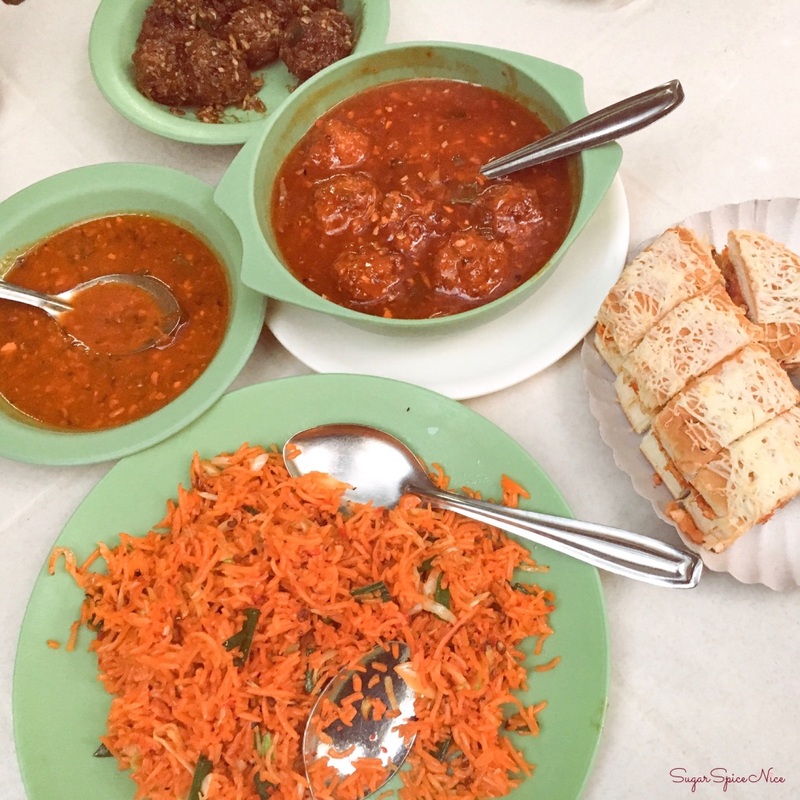 A humble joint in Girgaon, Manohar is known for their pav bhaji minus any onion and garlic. 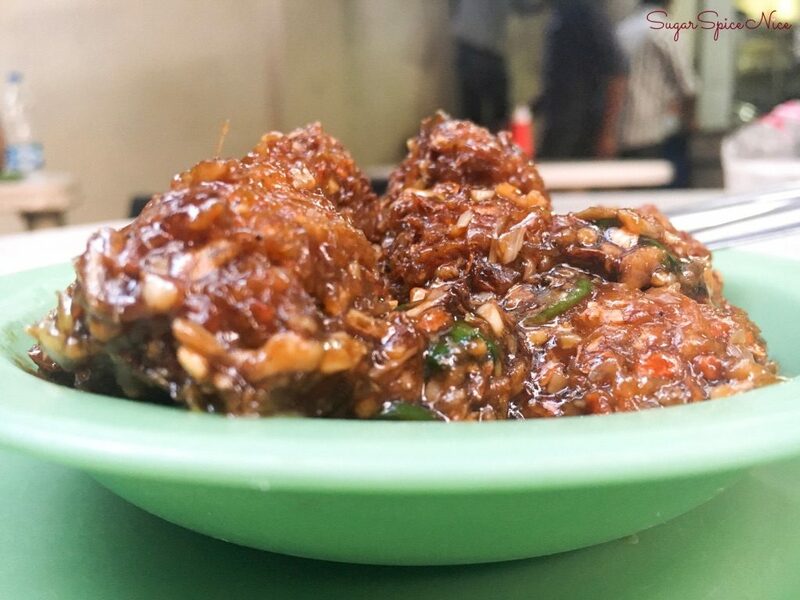 Their bhaji is high on flavor and definitely worth a try. Probably the birth place of pav bhaji, Sardar Refreshments has its own unique blend of spices and of course loads of butter. This place is always packed, but the bhaji is worth the wait. Watch my video from Sardar Pav Bhaji here. 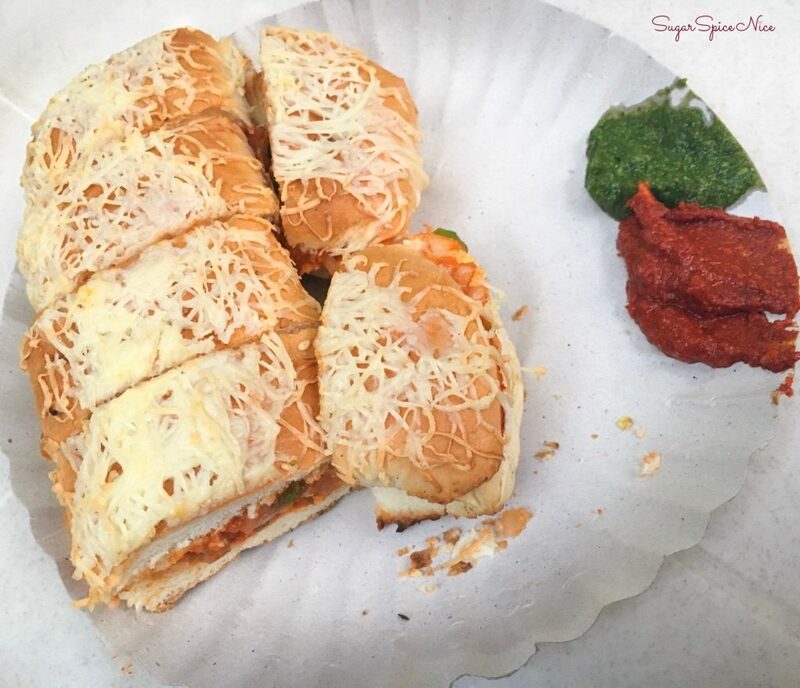 Another famous joint, Sukh Sagar is known for its idli, juices and of course Pav Bhaji. However I do feel that over the years their taste has kind of changed. In spite of that, you’ll see at least one pav bhaji on every table here. This is a restaurant located in Tardeo and is usually packed in the evenings. And one thing that you need to try here is their Pav Bhaji for sure. I usually end up trying their cheese Pav Bhaji. Any visit to Crawford Market is incomplete without visiting Badshah. 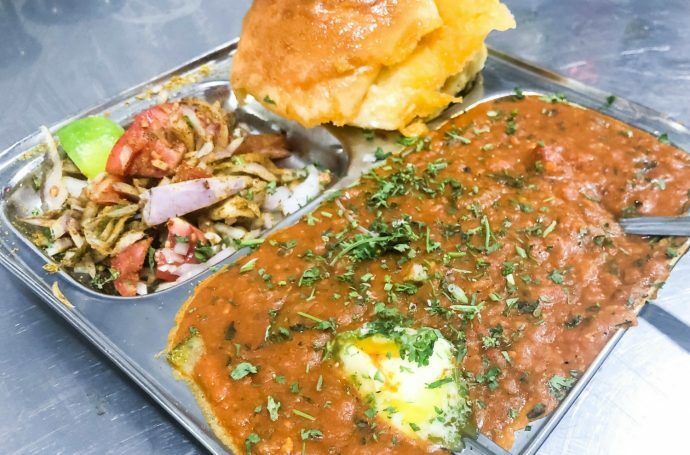 They are known for their falooda, but their Pav Bhaji is definitely something you must try. 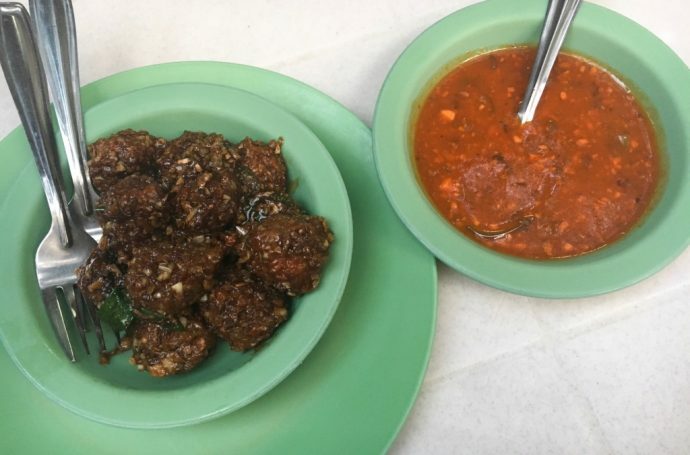 A small eatery in Shivaji Park Dadar, Gypsy Corner is known for their chaats, snacks and Maharashtrian fare. However, I personally feel they make an awesome Pav Bhaji. 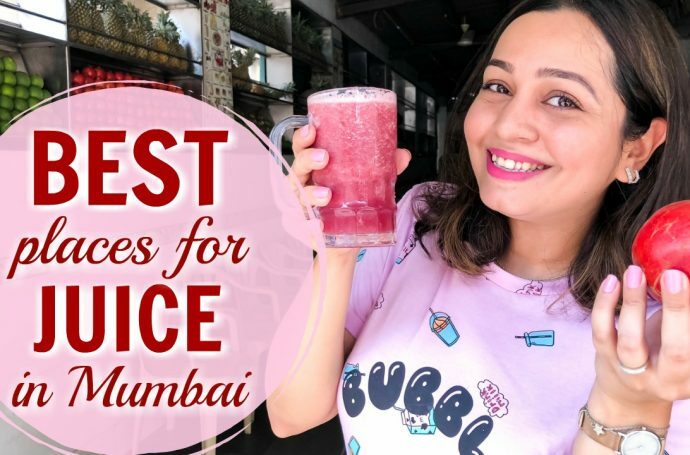 Watch more places to eat in Dadar here. So those were my favorite Pav Bhaji spots in South Mumbai. Hope this helps you. 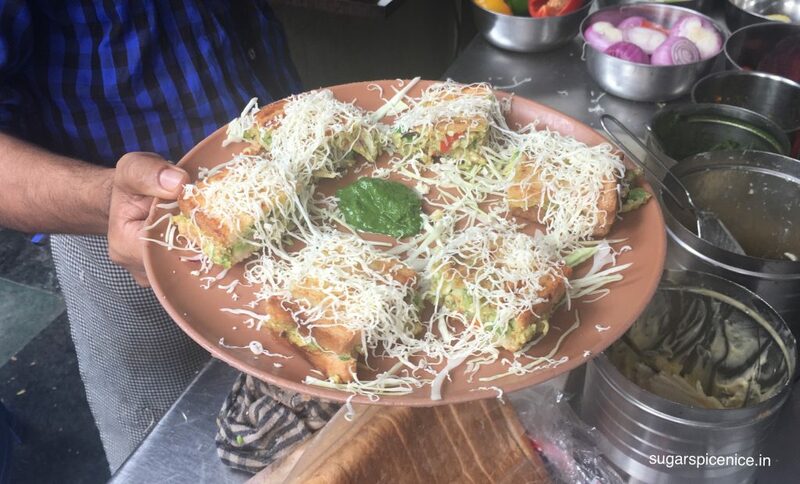 Do let me know some of your favorite Pav Bhaji places in Mumbai in the comments below. This one’s from my visit to Rajendra Fast Food Borivali. Rajendra Fast Food Borivali is a really famous, landmark level place to grab some reasonable yet delicious food. 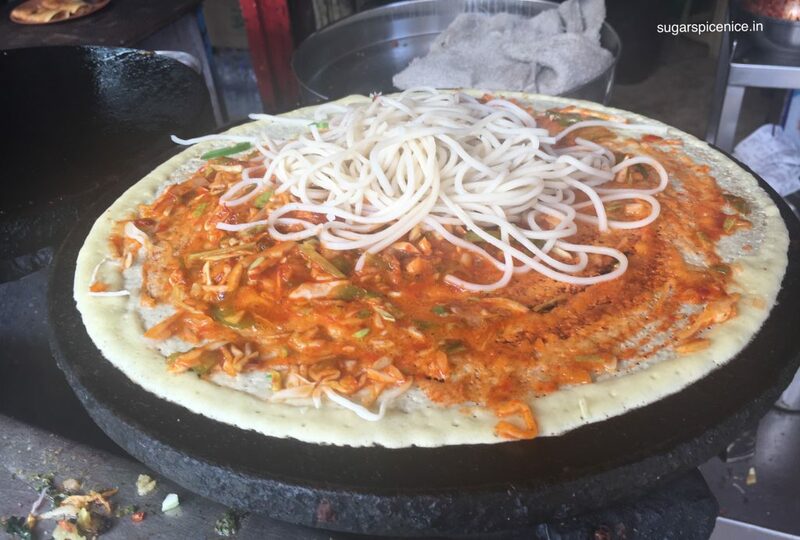 Their dosa, Chinese, Sandwich is pretty famous. Here’s a video from a trip that I made to Rajendra Fast Food! I hope you enjoyed watching this little snippet from my visit to Rajendra Fast Food. 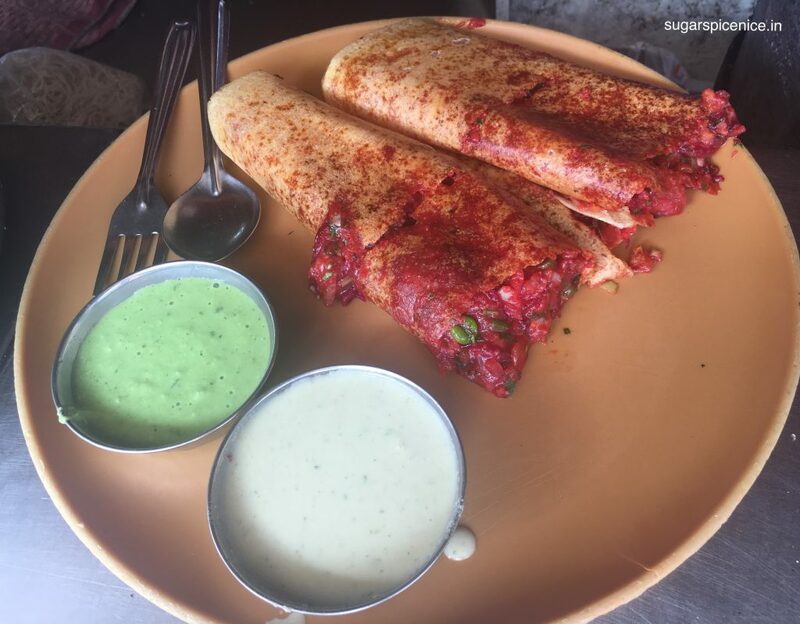 I ordered only 1 item here – the Mysore Masala Dosa. You saw that being made, right from scratch in the video. They used a ton of beetroot to make it and honestly it turned out pretty good. I wouldn’t call it my most favorite mysore masala, but it was decent. 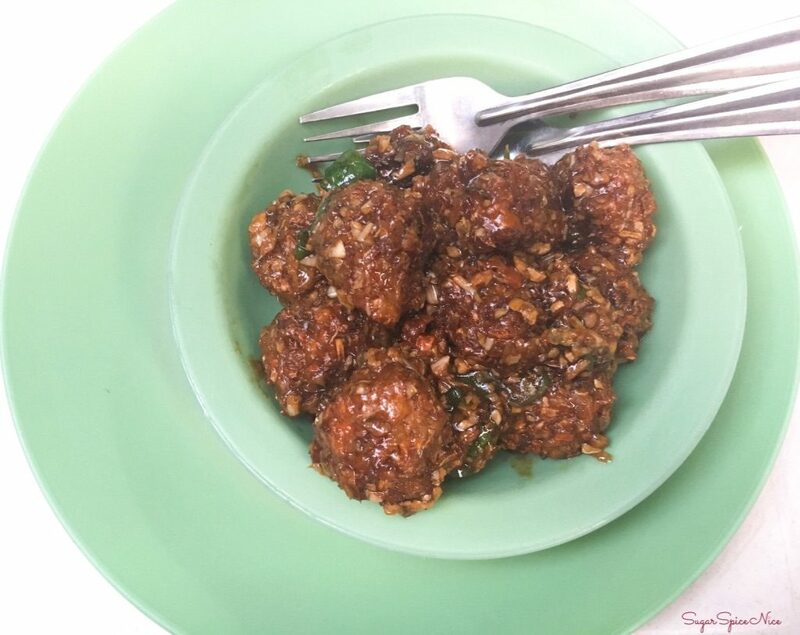 You get a variety of Chindian food here as well – everything ranging from schezwan rice, to hakka noodles to manchurian. And you will see the guy toss it all up right in front of you. I find it really fascinating to this watch stuff getting made. You also have various chaat items here – ranging from Pani Puri to Bhelpuri. And you also can get Dabeli here. I didn’t end up trying any this time, but hopefully I will try it next time. And their sandwich counter looked so attractive! I also saw a whole variety of other South Indian items. This includes idli, vadas and umpteen different kind of uttappas and dosas. They have a counter outside, where you can see all the items getting prepared and you just need to get a coupon and place your order. You can stand out and eat or take a seat in their pretty humble seating area. This place has something for everyone. I recommend checking it out.